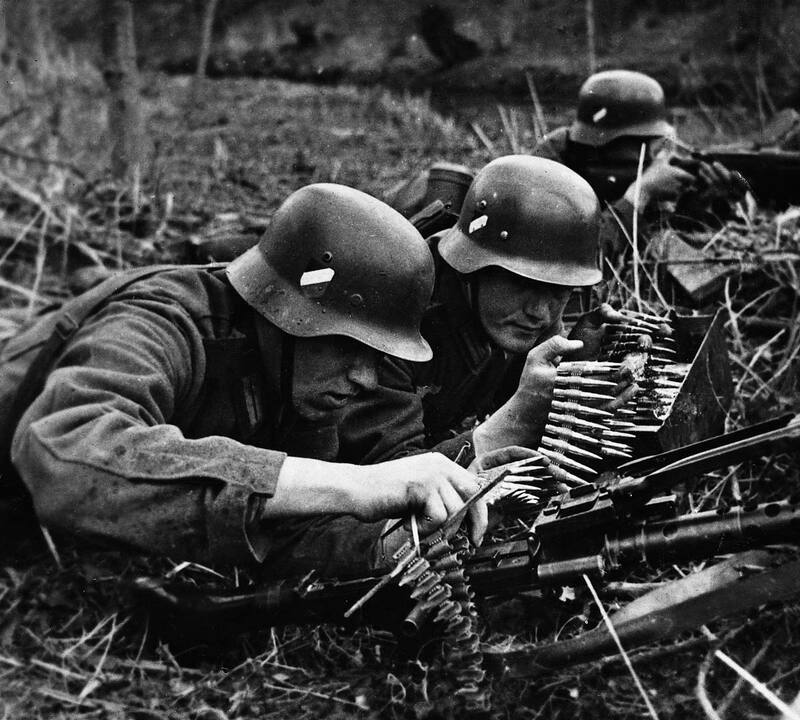 Waffen-SS troops with a lafette tripod-mounted MG34 fighting in Russia during Operation Barbarossa. The gunners mate has a standard K98 rifle as back-up weapon. The legs of the lafette could be extended to allow the gun to be used in the anti-aircraft role, and when lowered, it could be placed to allow the gun to be fired “remotely” while it swept an arc in front of the mounting. 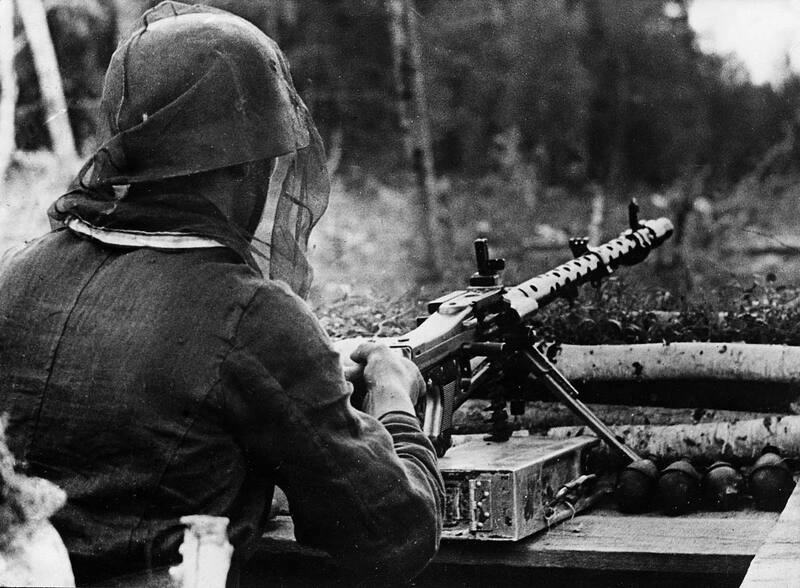 This extended the effective range of the MG 34 to 3,500 metres. The gunners may have only just set up the tripod, for the gun appears to have its front bipod still attached. 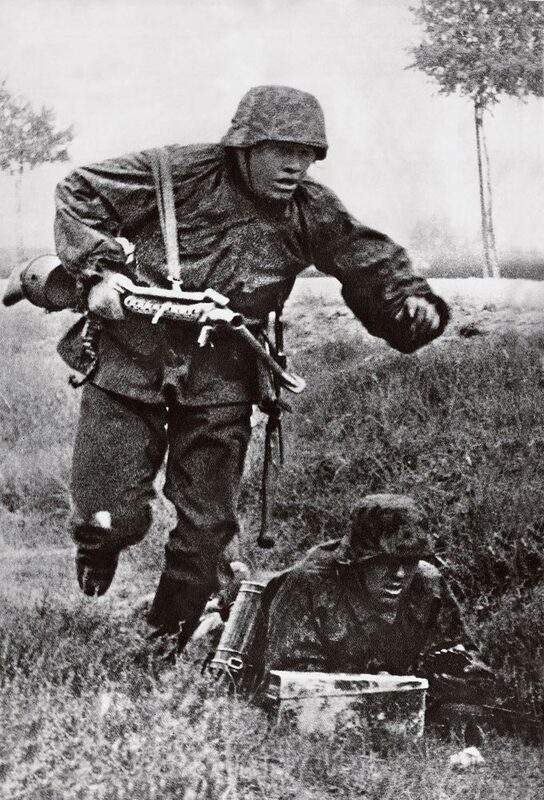 A Wiking Division machine gunner dashes forward during Operation Barbarossa in 1941. His weapon is the 7.92mm MG34 machine gun fitted with a drum magazine, holding 50 rounds. As an infantry support weapon German infantry appreciated its robust performance. 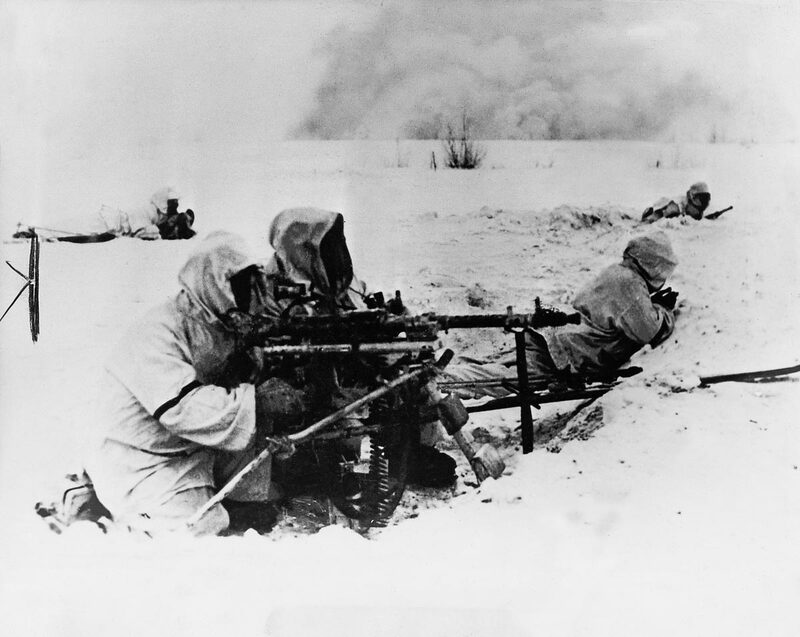 German infantry man an MG34 position in the snow of February 1943; the gun is mounted on a stationary tripod mount. A standard infantry support weapon, it was one of the most successful German small arms of the war. 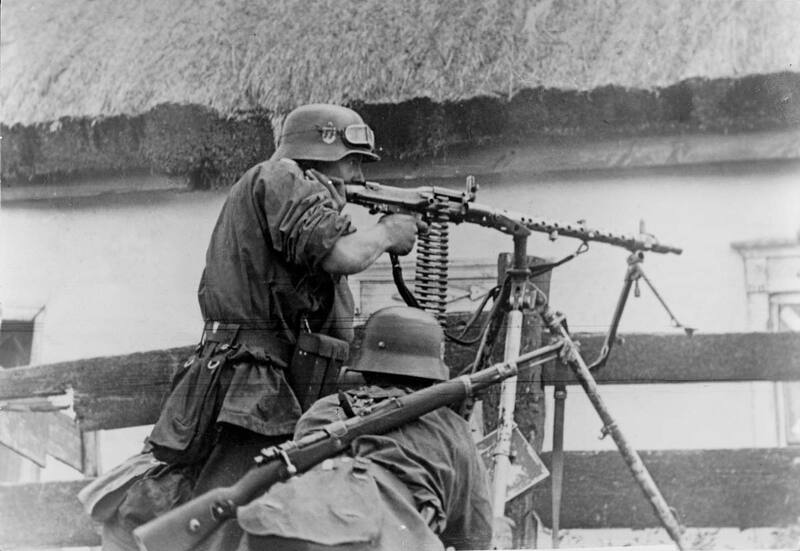 German infantry attaching a new belt of ammunition to the MG34. It is unclear whether this is a training photograph or taken during real action. Belts were supplied in a fixed length of 50 rounds, but could be linked up to make longer belts for sustained firing. A 250 round belt was also issued to machine guns installed in fixed emplacements such as bunkers. Ammunition boxes contained 250 rounds in five belts that were linked to make one continuous 100 round belt and one 150 round belt.